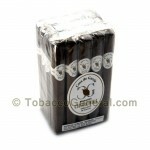 Are you looking for cigars that are cheap in price but rich in quality? Casa De Garcia premium cigar is your answer! These cigars are exclusively hand crafted in the Montecristo’s factory in the Dominican Republic and average slightly over a dollar per stick. 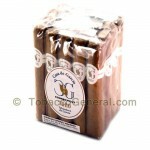 Tobacco General offers a diverse spectrum of cigar flavors and variously wrapped cigars. Casa De Garcia cigar flavors range from crème and pepper to coffee and chocolate. These combinations provide a heavenly sensation with superb burn and excellent construction. Casa De Garcia cigars are also available in wrappers such as Connecticut, Sumatra or Maduro; a great selection for picky smokers! 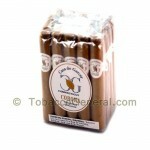 Tobacco General tags these cigars with affordable prices and exquisite quality. Buy now!